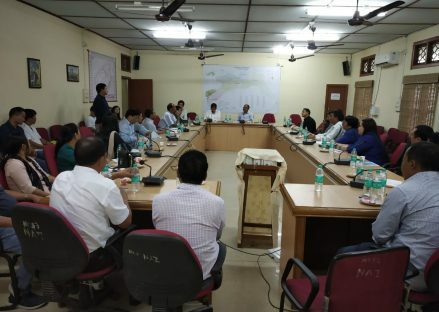 Changlang, October 15, 2018: A meeting was convened by Deputy Commissioner Changlang Shri R.K Sharma with all heads of offices in Changlang district for preparation of Vision Document 2022 by Changlang district here at DC Conference Hall. The DC Changlang exhorted the head of offices to dream big and work tirelessly to take the district ahead and achieve the Vision 2022 goal. He also addressed the officers on how to prepare the Vision document coordinating with District Planning Officer Shri Sai. Timba.